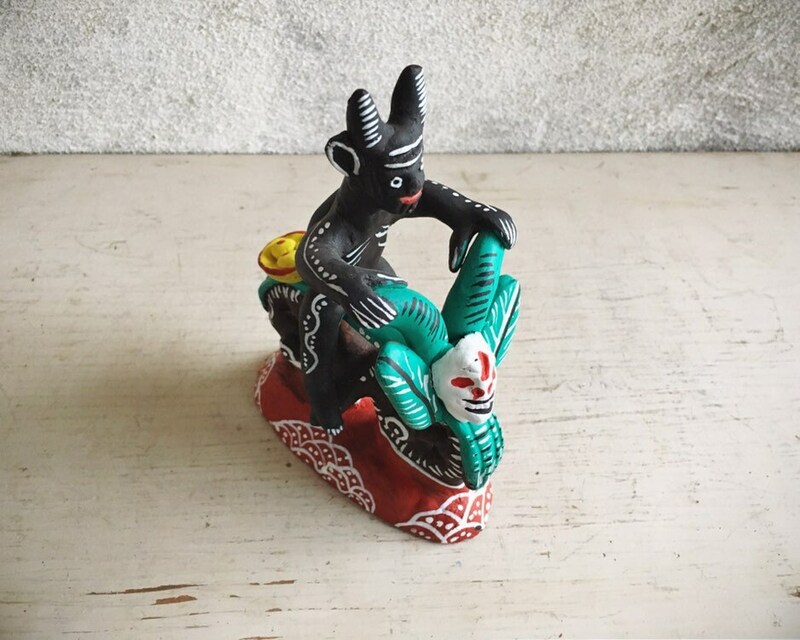 This small vintage pottery folk art figurine is delightful, signed by artist Mexican artist Natividad Gonzalez. 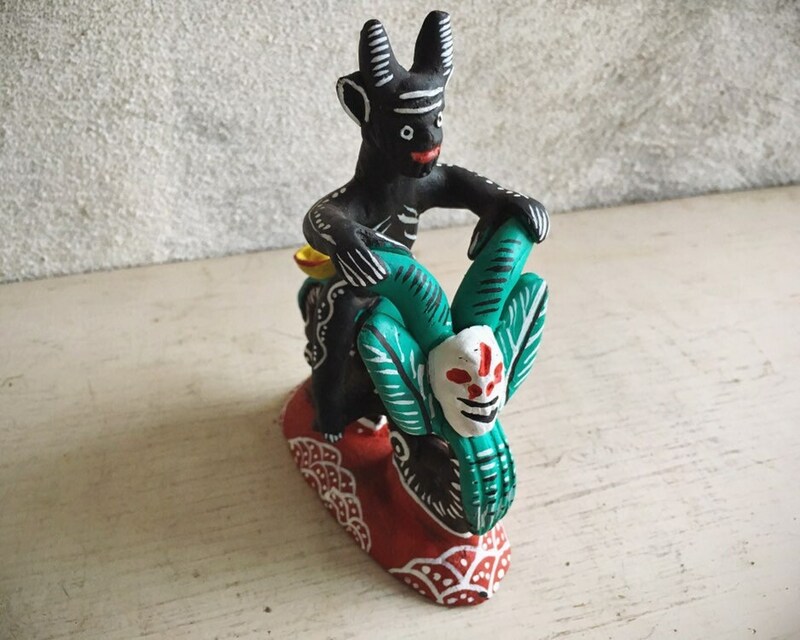 It features the diablo (devil) riding a motor bike (or bicycle?) and carrying on the back a bowl of fruit. 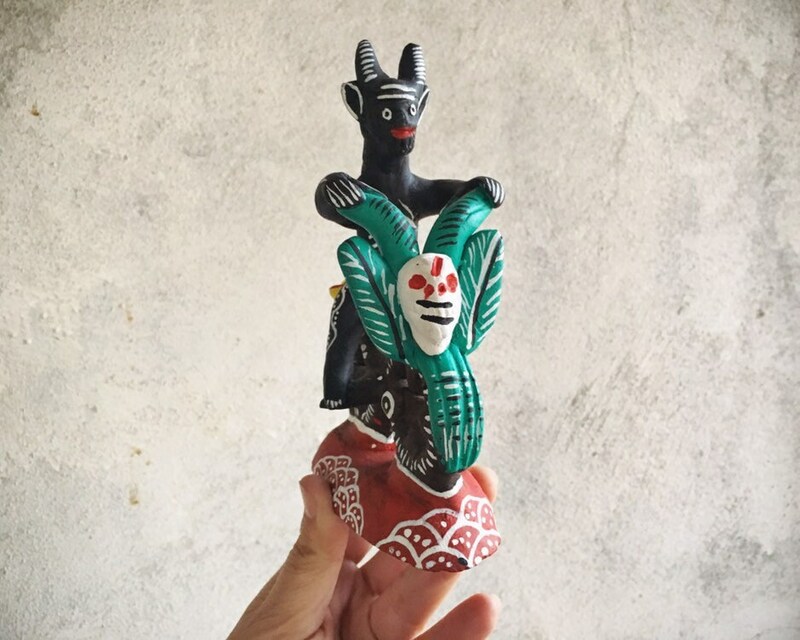 It is a Day of the Dead depiction, the idea that angels and demons live and walk among us, doing many of the things we do each day. 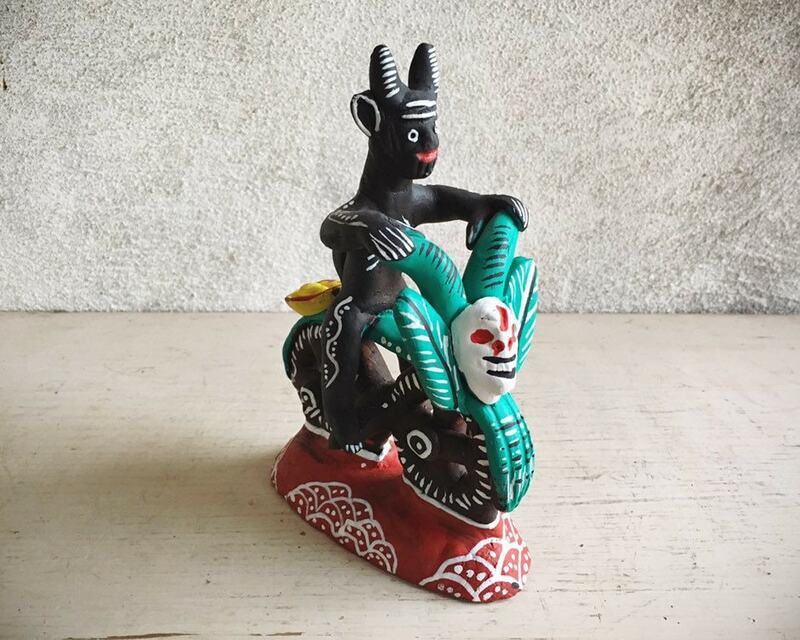 And that is what Mexican folk art does--it translates the big themes of Christianity into everyday art. 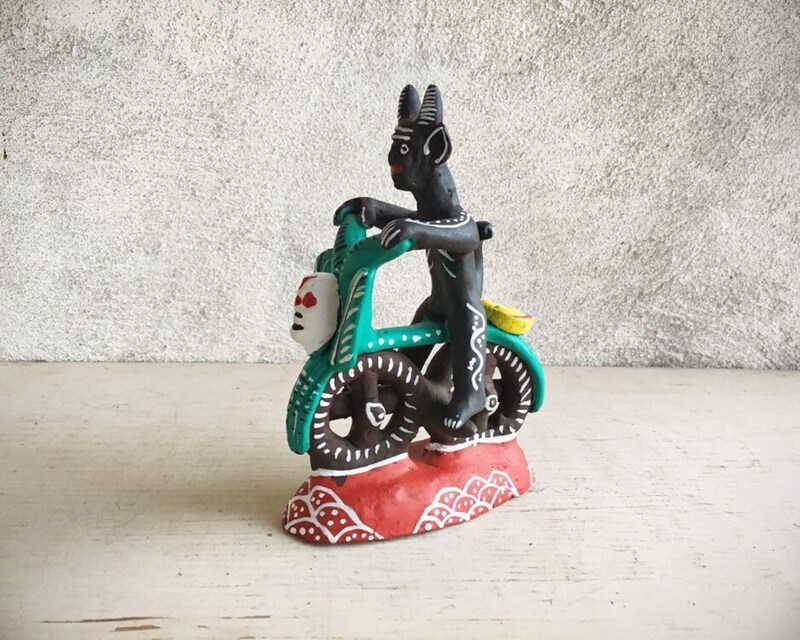 This little guy is just super wonderful. His brow is furrowed as he concentrates on getting through traffic. 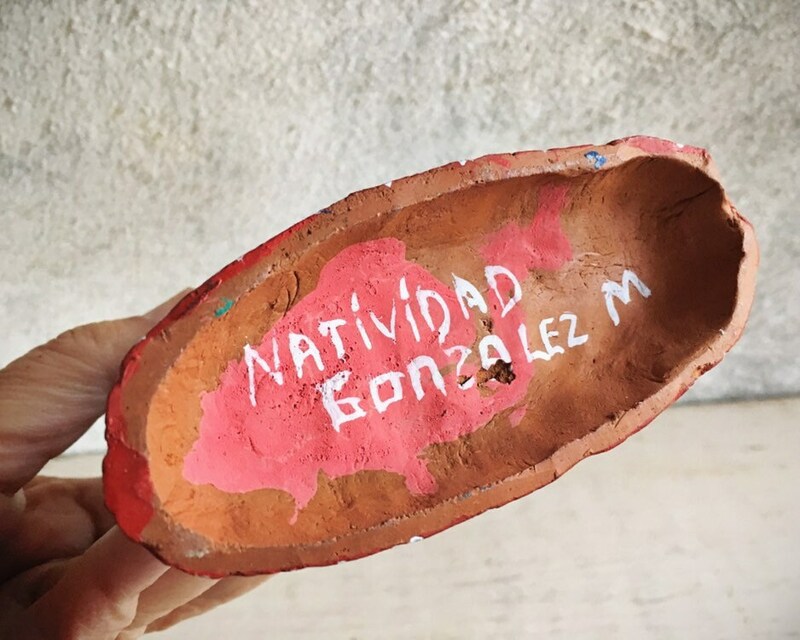 I have not found any information on Gonzalez, but this art is common to Tonala suburb Santa Cruz de las Huertas, which is known for making "barro betus," a form of glazed pottery whose patina was originally made with the resin of a pine tree called "betus.". 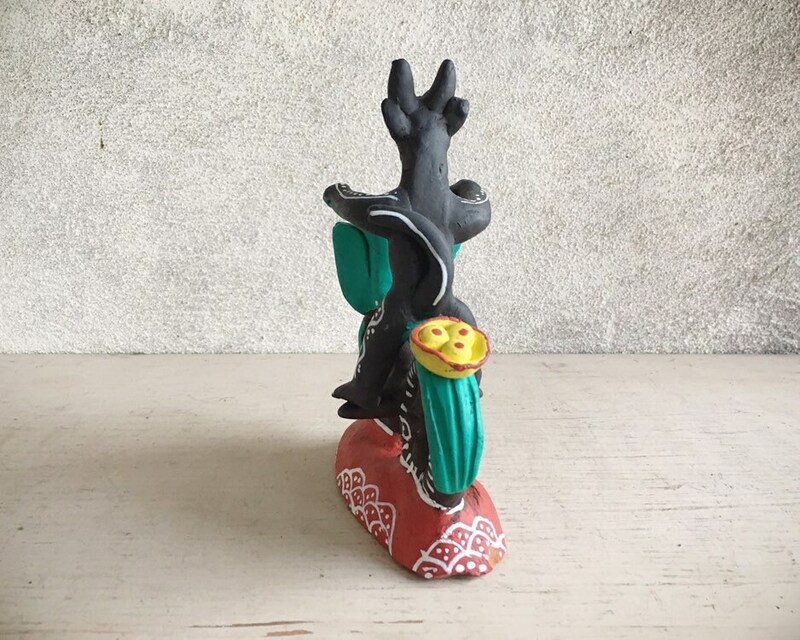 Measures just about 6-3/8" tall, about 4-1/2" wide, and about 2-1/4" deep. In good condition with no cracks nor chips beyond a few fleabites.